The so-called Hamer method, the German Ryke Geerd Hamer, is based on the influence of psychology on the development of diseases, specifically in cancer. A discussed method of alternative medicine designed from a personal experience, which has generated conflicting opinions and disqualification of his predecessor to practice medicine in their country of origin. According to the principles of Hamer method, which we believe are actually disease states that occur in response to a traumatic event that the patient has experienced in the past. In some cases, according to Hamer, viruses and bacteria might even be useful to cure some states of distress. Psychological traumas, for example, and according to the thesis of Hamer method, can the cause that is behind a tumor. The followers of the Hamer Method, which has also been called the German New Medicine, refuse to treat cancer with chemotherapy and radiotherapy under the argument that block the brain. In some cases also refuse to take painkillers to relieve pain. The first one that supports a dramatic situation, psychological trauma, is capable of striking simultaneously on three areas: the psyche, the brain and the body that will develop a disease. A second law refers to the stages of the disease, and that are two, the active phase (when the emotional conflict or psychological trauma has not been resolved) and the healing phase. The third law refers to the metastasis, and in particular to the secondary and tertiary cancers that according to Hamer method, are not caused by the migration of cancer cells, but by a new psychological conflict. As an example, a diagnosis of cancer, when shooting the fear of dying, generates a new conflict. 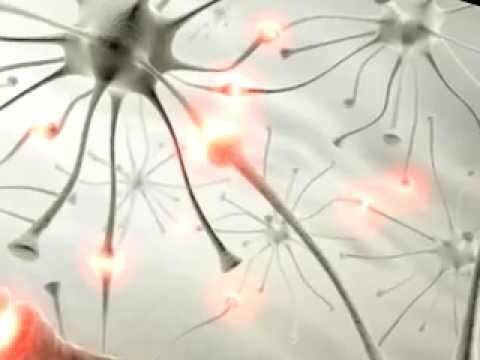 The fourth law points that the brain to control the course of the illness also can be helped by some viruses and bacteria. Finally there is a fifth law that explains how diseases, as we know, do not really exist, but all due to the presence of a much larger cosmic order. There is no scientific evidence in favor of the new German medicine, which has also been crossed out based on false philosophical principles. There are several signs that, according to the Hamer method, would be upset expression on the body. For example, the symptoms related to the larynx occur in response to a threat that can leave us breathless. At the same time, the pulmonary alveolar reacts, according to Hamer, by the fear of dying after a traumatic event. Symptoms affecting the bronchi are a response to a threat. The symptoms related to breast translate the concern about not feeling capable of feeding a person who is ill. In this case, when the discomfort affects the right breast, the psychological conflict would be with a figure like the father, brothers, sisters or co-workers, while when it comes to the left breast would be the manifestation of a difficulty with the line ascending or descending line (mother and children). The liver problems may have a deeper meaning (concerns, for example, a waste of money). The problems in the heart would have to do with the defense of the territory (for example, with the work topics), while the discomfort located in the stomach would be a sign of a situation that bothers us.